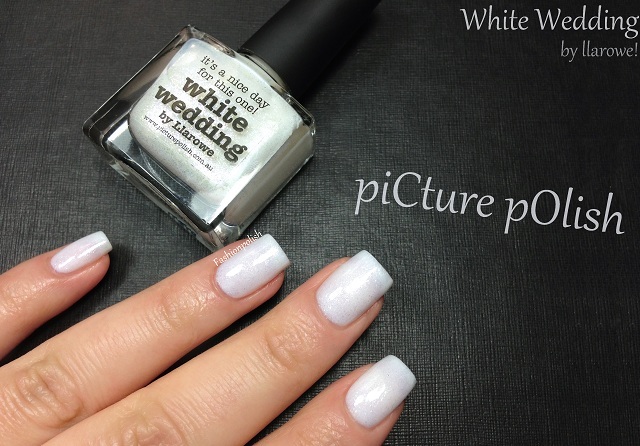 Fashion Polish: piCture pOlish White Wedding by llarowe! 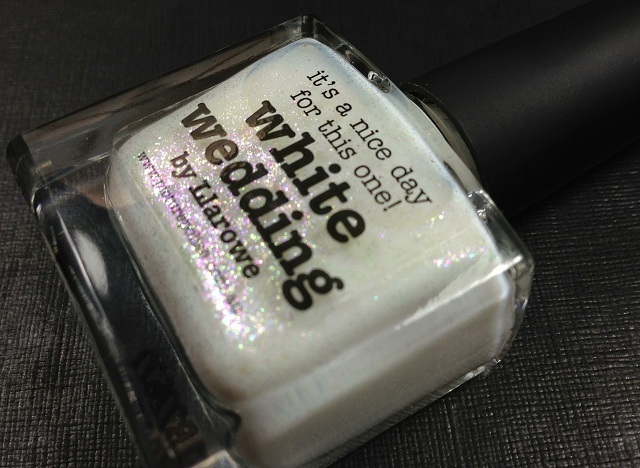 piCture pOlish White Wedding by llarowe! Today I have a really beautiful white to share with you, created by Leah Ann from llarowe.com in collaboration with piCture pOlish. piCture pOlish White Wedding is a sheer but buildable white infused with a delicate mix of blue, green, pink and gold shimmers. Application was surprisingly nice and easy and I used 3 very thin coats to reach sufficient coverage. I found the shimmer very subtle and most of the time, I felt like I had fresh snow on my tips but there was always that nice little sparkle that truly set White Wedding apart from every other white I own! Have you tried White Wedding? Or any other collaboration shades? Gorgeous white! I love the shimmer! I always find white really hard to apply, but this one looks lovely! I don't know - your swatches make it look so much more beautiful than it will look on me, I'm sure - plus, I can't deal with white sheer polishes after all the essence and Catrice experience! Oh I hear you! I've tried a few of their whites and pastels and they were mostly a streaky mess, essence cristalliced for example was really difficult but White Wedding was much easier to apply. I used 3 coats to "build" opacity but even at 2 coats, it didn't look bad. This is truly a beautiful polish! I really love this white! Wish I had this beautiful polish! This is GORGEOUS! I absolutely adore the shimmer. This is one of the most beautiful polishes I've ever seen! Definitely qualifies for a wedding polish! I bought White Wedding the minute I saw it on Llarowe and I love it!!! !